As part of our Movie Reviews for adults series, our guest today is someone well known to our Not Old Better Show audience, director Mike Leigh. 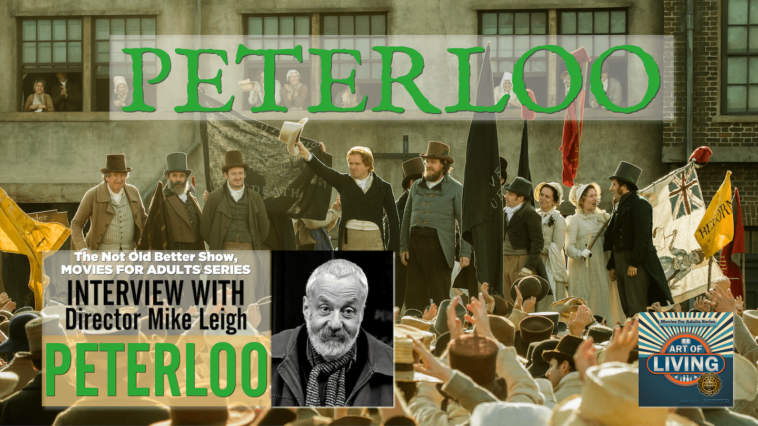 We’re listening to a bit of the music from Mike Leigh’s new film, Peterloo, and we’ll be hearing from Mike Leigh in just a moment. 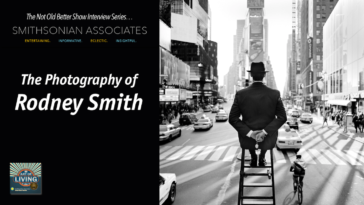 Mike Leigh has been a cheeky iconoclast since he burst on the scene in the 1970s with some very fine television work and films like Nuts in May and Abigail’s Party all of which confirmed his talent. Since then he has made numerous films that have won the Palme d’Or in Cannes the Golden Lion in Venice, plus he’s been nominated for the Academy Award seven times for films like Naked, Vera Drake, Secrets and Lies, All or Nothing, and Mr. Turner, films I know every one of you has seen at least one of them. In my mind, these are some of the absolute essential films of the last 25 years. As always Mike Leigh has made a smart intelligent film full of insights and drama bringing to the screen this very overlooked incident close to its 200th anniversary so, please join me in welcoming to The Not Old Better Show, director Mike Leigh.